May Winfield, BIM and digitisation specialist, and senior construction solicitor at Carillion, offers advice on the importance of clear contract terms when adopting BIM on projects. There’s a common adage about contracts: that the best place for them is the bottom drawer. This is of course all well and good in the honeymoon period when everyone’s getting along, but as any lawyer will tell you, the minute a dispute arises, you can be sure the drawers will be flung open and those contracts will start getting a lot of attention. The simple fact is that while everyone agrees that collaboration is essential to our industry, both collaboration and good nature can go out the window when parties (and/or their insurers) are seeking to establish liability and recover losses and damages. The BIM process itself is by its nature collaborative, and BIM-supportive contract terms assist in providing certainty and efficiency, giving parties a clear understanding of their respective roles from the outset. According to the annual NBS BIM Survey 2017, only 25% of respondents reported using the CIC BIM Protocol and only 38% of respondents in turn were using PAS 1192-2: 2013. Given that a BIM Protocol and the PAS 1192 suite of standards are widely accepted to be integral parts of BIM documentation, this begs the question as to what everyone else is using or relying on. I recall reading in the NBS BIM Survey that 93% of respondents agreed with the statement that “Adopting BIM requires changes in workflow, practices and procedures”. 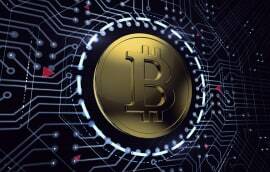 However, such changes are still piecemeal and intermittent in many areas, possibly reflective of the resistance of our industry to significant change. 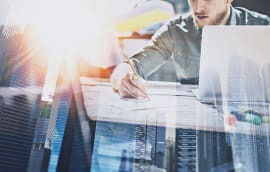 So, mindset is certainly one of the biggest hurdles to overcome in BIM adoption, but I would argue that the right contract terms (which clarify and protect parties’ BIM positions) can be instrumental in effecting this change by promoting the right behaviours – for example through obliged compliance with collaborative processes and open information sharing. The importance of clear contract terms to set out parties’ positions is increased by the lack of established common law rights and duties, and legally-established meanings of BIM terms. It will be some years until we have a body of case law dealing with the common BIM issues and disputes, and I doubt any of those reading this would want to be the expensive test court cases to establish such legal principles. Indeed, as many readers will be aware, we recently saw the first “BIM” case of Trant Engineering v Mott Macdonald. Without rehearsing the facts of the case, I would simply note that both parties would have incurred considerable legal fees, as well as great cost to their commercial relationship, in pursuing this case all the way to the supreme court. This formal dispute likely could have been partly or wholly avoided if the parties had had clear contract terms setting out their respective rights and duties as regards access to the Common Data Environment, rather than needing to seek a court’s interpretation of their implied or common law rights, and all the considerable costs that implies. Standardisation of processes and documents. Collaboration (because BIM cannot fully work without collaboration). For further summary regarding BIM-supportive contractual frameworks, you can read my SCL paper on the topic here and/or contact me on Twitter (Buildlaw_Arttea) to discuss or debate any points of interest. How are contracts currently dealing with BIM? So, having considered the framework for a BIM-supportive contract, let us turn to how contracts currently insert BIM terms. All of us will have seen contracts and/or tenders using the magic phrase “Do BIM”, or in some cases “Achieve Level 2 BIM”. 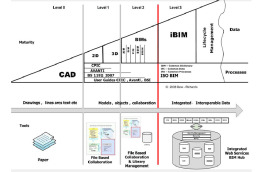 Neither “Level 2”, nor indeed “BIM” yet have any accepted, standard industry meaning, and indeed if one was to do a poll of 100 BIM-aware industry professionals, each would have a different view of what Level 2 BIM consists, both in terms of duties/obligations and contract deliverables. Ensuring the headline areas of a BIM-supportive contract framework are dealt with would ideally require a combination of the EIR, BIM Protocol (and any other contract schedules/sections containing BIM terms), BIM Execution Plan (BEP), and any applicable and binding standards. It is crucial to ensure consistency of BIM terms and processes across the project team and supply chain, to avoid accidental gaps in liability, or conflict between parties’ respective duties. In some cases you would require specific terms to reflect your own processes and risk management procedures, and the right BIM contract document suite can only be achieved via close liaison between the commercial and operational businesses with BIM-aware lawyers. The businesses may find it helpful, in this regard, to go through the basic technical aspects of BIM, and the processes and risks involved, with their legal teams to provide them the necessary understanding to draft and advise. There is a debate within the industry as to whether the BEP should be a contract document, which I will refrain from detailing here, but I would simply note that any process or obligation on which you require compliance or clarity would self-evidently need to be inserted into the contract – irrespective of where it’s included – to ensure such compliance and certainty between the contracting parties. Given that most contracts are based on or utilise standard form contracts, I will lastly look in summary at how BIM is dealt with in current commonly used standard form contracts. The JCT 2011, via the Public Sector Supplement, contained some amendments to incorporate a BIM Protocol. The NEC3 issued guidance with some limited amendments and advice on how to incorporate the relevant BIM requirements into the Works Information and Z clauses, with the former containing the technical aspects and the latter containing the rights and responsibilities. The updates to these standard forms, ie the JCT 2016 and NEC4, both contain express BIM terms, recognising the increasingly integral role of BIM. The JCT 2016 contains more comprehensive amendments than its JCT 2011 predecessor supplement to incorporate a BIM Protocol. Note, however, that the JCT 2016 conditions of contract will take priority over the BIM Protocol, leading to a direct contradiction with the equivalent priority of documents clause in the CIC BIM Protocol, so the contract terms will need to clarify as to which contract document takes priority (and in what circumstance). The recently issued NEC4 contains an Option X10: Information Modelling. The terminology used is generic in nature (eg information model and information execution plan) and arguably, a departure from the current common industry terminology for BIM. Whilst this facilitates a more universal terminology, parties would need to ensure the defined terms, terminology, and understanding of the same, is consistent between parties and contract documents to avoid confusion or mismatched scope of the intended documentation. 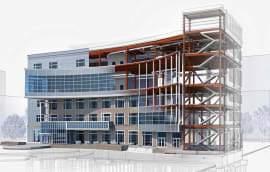 The Option X10 is very concise, focusing on copyright and liability for the models, and parties may be wise to insert further clauses and process/technical requirements by way of Z clauses and the Works Information respectively, to ensure the necessary comprehensive, binding clarity of the BIM requirements and processes. 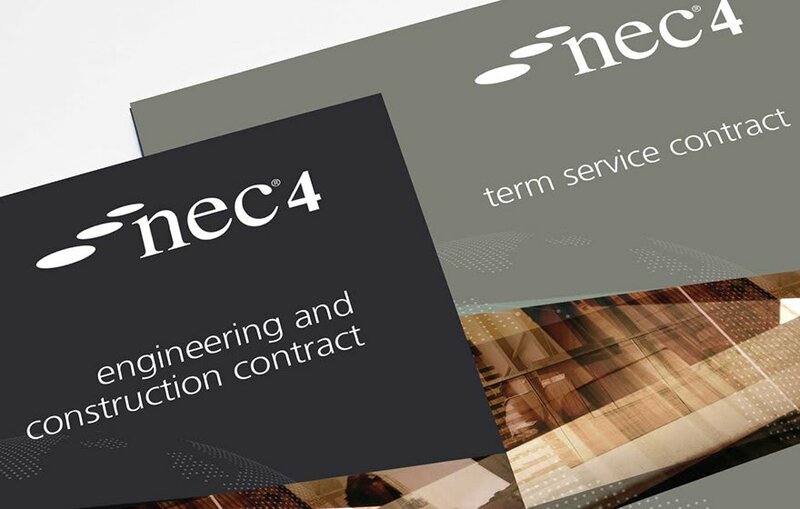 Does NEC4 have the X Factor to propel BIM use? As envisaged by the NEC3 guidance, a BIM Protocol is a useful reference point to see what should be inserted into the contract’s Z clauses. As a final side note on the NEC4, the NEC4 envisages the employer/client will have ownership rights over the information model and project information. The employer has liability for the information model except insofar as there are defects in the project information, but the contractor only retains liability for negligence as regards the project information. There is an arguable gap in liability where an information model has issues due to defects in the project information, but such defects are not due to the contractor’s negligence. Would it be sensible to clarify which party bears liability in these circumstances, to avoid protracted debates or disputes on the parties’ intentions and/or implied terms and/or (expensive) legal arguments? Readers may recall that the multi-party PPC2000 was used (apparently unamended) by the Ministry of Justice in the £20m BIM-enabled government trial project at Cookham Wood in combination with a two-stage open book procurement model, and that this project reportedly made significant savings. Despite this apparent success, the PPC2000 issued a 2016 BIM supplement which, similar to the JCT and NEC3, contains a limited set of amendments and guidance on incorporating BIM into the contract. Like the JCT 2011 and NEC3 and indeed current common industry practice, the amendments in the supplement primarily provide for the incorporation of and compliance with a BIM Protocol, albeit no sample has been provided. There are also parties’ obligations regarding a “Building Information Model” (in the singular) –arguably could this lead to confusion or need for additional differentiation between the obligations and rights as regards one’s own models and others’ models. The PPC2000 2016 BIM supplement also uniquely provides an alternative to making such amendments to the contract. It explains that instead, parties could complete the PPC2000 so that the Lead Design Consultant Services Schedule includes the role, expertise and responsibilities of the BIM Coordinator; the partnering timetable and project timetable incorporate all of the inputs, timings and responsibilities that are contained in the BIM Protocol; and the BIM Model is included as part of the Project Proposals. There is a live question as to whether such limited amendments would be sufficiently comprehensive to cover all the main issues and risks of BIM processes. As regards international contracts, FIDIC has not yet inserted BIM-specific terms although guidance is expected at some point in the future. In the meantime, parties would need to amend their FIDIC contract to insert a BIM Protocol and other usual BIM-specific terms. 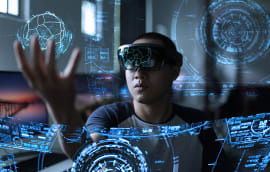 There is no doubt that BIM is an important and exciting development within our industry, and has been the catalyst for increased use of other innovations: such as AR, VR, sensors and drones. However, as with any new process or change in way of working, BIM brings with it new legal issues and risks that need to be clarified and dealt with within the contract documents and through open discussion to avoid unnecessary disputes and misunderstandings, enabling BIM to be utilised to its maximum beneficial effect.